On a casual stroll through the G2 Crowd blog archives, I stumbled upon this gem, hyping up the impending 20,000th review on our site (and the sweet headphones awaiting the lucky reviewer). A year ago, we crossed the 100,000 mark. As of today, we have 220,000 and counting. The reviews are multiplying like a bunch of wet Gremlins — and we’re extremely grateful for each and every one. As these reviews continue to snowball, we’re concurrently growing our site in other ways, not the least of which is the B2B Services endeavor. In the past year, we’ve added more than 250 categories of business services on our site, with the hopes of becoming the go-to resource for services buying decisions, in the same way we’ve accomplished for software, for a million visitors each month. We’re now one step closer to that goal with the arrival of the first Services Grid®. Take a bow, Job Boards. This category’s Grid® puts our real user reviews into action and gives buyers a transparent look at how the most-talked-about providers are stacking up (in real time, no less!). So, what is a Grid® exactly? The occasion calls for a reintroduction of sorts. 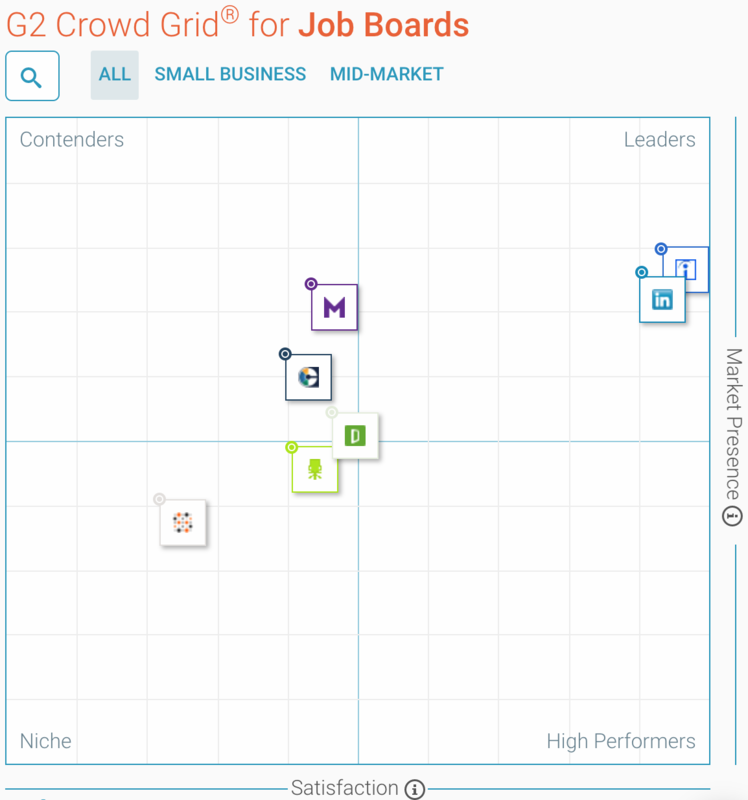 The G2 Crowd Grid® displays those products (and now, services providers) with 10 or more verified reviews in a given category. Their representative logo appears in one of four quadrants: Leaders, High Performers, Contenders and Niche. Data from reviews is aggregated to determine the Satisfaction score, while company metrics such social media presence and web traffic are used to determine the Market Presence. Based on these scores, Indeed and LinkedIn are evenly matched as the “Leaders” in this category as of press time. But Grids® are changing all the time, with each new review and general shift in the company’s market presence. Additionally, more businesses will appear on the Grid® as they collect the requisite number of reviews on G2 Crowd. 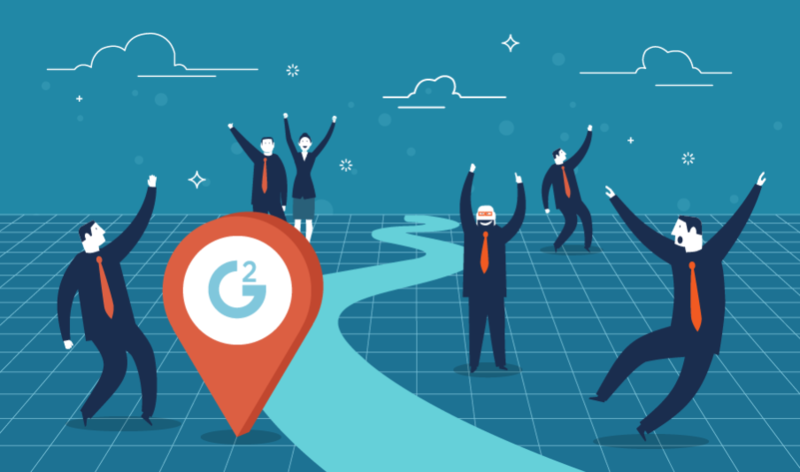 As competition heats up, the pressure falls on these companies from two directions: getting more reviews, and delivering quality service that increases the likelihood of these reviews being positive. For the best companies out there, delivering quality service is a no-brainer and shouldn’t come about just for some bragging rights on a tech research website. With that being said, the feedback collected from reviews can and should help them steer future decisions, thanks to the honest experiences of customers around the world. This first Services Grid® is a harbinger of the data and insights to come. Grids® will become active on more and more categories as reviews trickle in. While Grids® themselves are helpful on their own, they also allow for deeper analysis through the variety of reports we produce. Once we have the data necessary to publish a Grid®, we can dissect the data to reveal numerous finer points of comparison. In software Grid® Reports, we break down user feedback on metrics like ease of use, quality of support and go-live time. In regards to services, the information collected from reviews will allow us to explore dimensions such as communication skills, industry expertise, timeliness and specific ratings that are unique to different categories. One step at a time! First, a quick moment to appreciate this milestone. I look forward to the day when someone uncovers this blog and it provides the same “blast-from-the-past” feeling of that 20,000th review. One single Grid® is a tiny feat in the grand scope of possibility. But it’s humongous in its special way; a deserving addition to the scrapbook of a company that just keeps growing. Write a review of a business service you use to share your expertise and help potential buyers.